Peruse our favorite family-friendly recipes from summer 2017 for more options! We look forward to cooking in the summertime because it allows us to feature a wide range of fresh, quality ingredients. It means that a fantastic window has opened up in the world of seasonal produce. In fact, many people wait eagerly for the season to make its debut every year simply because of the fresh produce. Keep in mind, the recipes we’ve selected showcase only a small portion of what is actually available; so take this starting point and branch out at your leisure! The following eats incorporate some of summer’s best including citrus, blueberries, sweet yellow corn, grapes, and peaches. We hope that you’re hungry and inspired to find recipes that feature your own personal summer favorites, especially if they’re not discussed here. Summer salads make busy days manageable but we also believe that they need to be filling, nutritious, and tasty to get the job done properly. This salad combines individually fantastic ingredients and turns them into a complete, satisfying plate (or bowl, based on your personal preference); including almonds, green onions, and mandarin oranges! The contrasting textures and flavors are a fun ride, that we hope you enjoy! Why brave the summer sun without a treat that’ll cool you down up your sleeve? 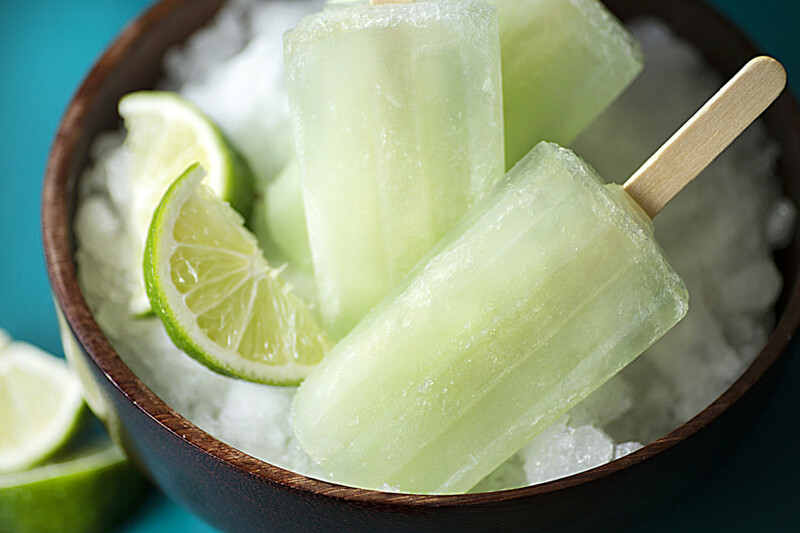 That’s where our Limeade Popsicles make a welcomed splash. They are light, flavorful, and offer the cool hydration that we crave during afternoons spent soaking up rays of happiness. It may be a point of light-hearted contention among friends but we’re definitely on the team that proudly exclaims “Yes! Soup belongs on our summer menu,” and not just the cold kinds either. One of the most notable tastes of summer happens to be sweet yellow corn, and this soup is full of it! Stock up at your local farmer’s market for high quality, crunchy, seasonal vegetable as soon as you see it. Your summer corn chowder demands it! Blueberries, arugula, and walnuts; is your stomach growling yet? There’s such a perfect harmony of flavors that we can imagine the taste by simply staring at the photos. Paired with your favorite organic blueberries and tossed with a combination of goat cheese and honey dressing, places this salad in the front of our minds (and menu plans) this season. 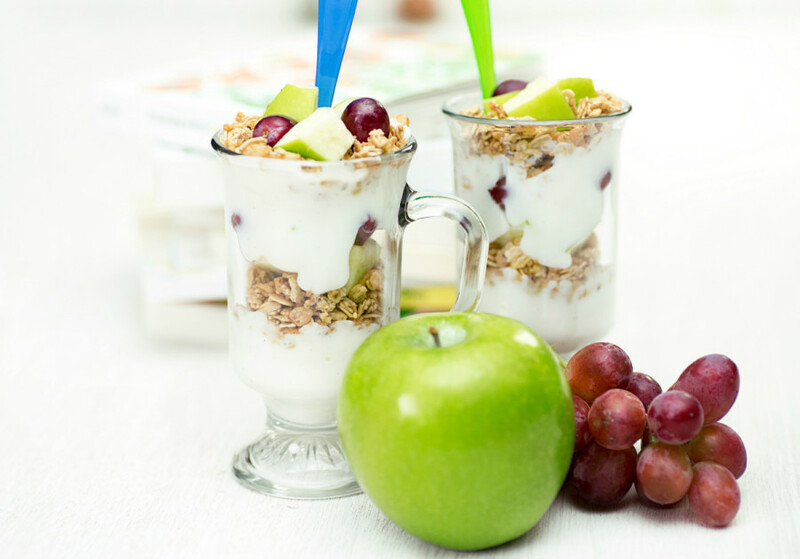 We rely on this parfait not only for breakfast but also mid-day meal breaks at work, brunch with mom, and of course those sudden midnight snacks. When your meals are missing something special (or healthy) give this parfait a test run. It could breathe some much-needed life into your routine. Where would we be without an emergency contingency plan for dessert? Nowhere great! Lemon desserts should no longer be underutilized during the summer months. There are few ingredients better at providing a lightly sweet, subtly tart flavor that serves as a natural refresher during these warm months. Have your cake and eat it too without the inevitable heaviness other sweets deliver. Bring your favorite dish to our virtual summer potluck and share why they make your summer eats the absolute best with us on Facebook, Twitter, Instagram, and Pinterest. Craving more of Homegrown’s favorite recipes? Check out previous Spring, Fall, and Winter picks! How to Recycle (or Reuse) Homegrown Citrus Packaging! Types of Oranges (& How You Can Try Them All)! HGO Farms on Types of Oranges (& How You Can Try Them All)! Norman J. Kaplan on Types of Oranges (& How You Can Try Them All)! Can’t find it? Check here. © 2019 Homegrown Organic Farms.